Should your skin care and makeup have to change as you get older? Not many women ask this question. The truth is that skin care and makeup change as we get older. By adjusting your skin care and makeup to your age, you will be able to make your beauty shine. If you are older than 50 you should pay more attention to good skin care than to your makeup. When it comes to makeup, ‘less is even more’. You should be very careful when choosing the colors that you apply to your skin and how you apply them. They should both make you look younger and more alive. Many women over the age of 50, and even those who are much younger, think that cosmetics should be used to hide something that they think is a flaw in their face. This should never be the case. Be proud of your mature beauty. Both your makeup and your skin care must be focused on improving and accentuating beauty at a mature age. When you reach this stage, you will not only be plagued by signs of skin aging but also get body hair in new places. Again your hormones are the culprit. Hell yes! Your hormones will play again. If you don’t feel comfortable with all that hair growth, you can shave it off. ATajmiel.com you will find various tips to grow your hair. Being older than 50 does not mean that you can no longer be hip and fashionable. Of course you can still dress yourself in a fashionable way or have a modern haircut. Look for trendy hairstyles and clothes that suit you best. And make sure you have confidence, a lot of the confidence that many mature women have! You will probably see some wrinkles and fine lines on your skin now. And maybe also a few age spots? If not, keep doing what you are doing now because you are absolutely taking good care of your skin. If your skin already shows some signs of aging, you can still minimize it and delay the development of even more wrinkles, fine lines and age spots. Keep your skin hydrated by drinking plenty of water. This ensures that your skin stays supple and elastic. Always apply sunscreen when you go outside. UV rays of the sun are the number one culprit of skin aging. Eat a balanced meal every day. You should eat more fruits and vegetables that are full of antioxidants. Antioxidants fight free radicals that damage skin cells, collagen and DNA, leading to the formation of wrinkles and fine lines. Apply Moroccan Argan oil on your skin regularly. Moroccan Argan oil is packed with powerful antioxidants such as vitamin E, polyphenols, squalene and ferulic acid. It is also full of essential fatty acids that effectively delay skin aging. What are some of your tips for aging skin? Let me know in the comments! I love hearing from you! Hey, lovely! Welcome to the Snow Much Fun Giveaway Hop – where you can hop from blog to blog, entering to win different prizes on each site! 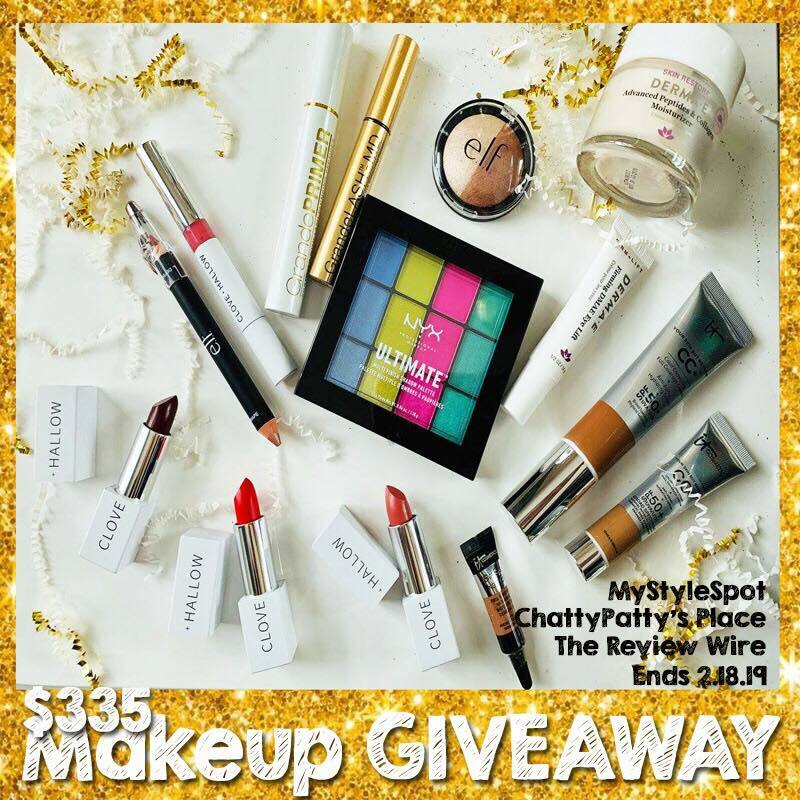 While you’re here, ENTER TO WIN A TONNNNN of Beauty in the ($400 Worth!) Rafflecopter form below! Don’t forget to ENTER THE LINKY below and hop from blog to blog to win prizes on each site! !